Howard Hanna Real Estate Services is holding their annual Open House Event this weekend, Saturday, April 21 and Sunday, April 22, 2018, with a record-breaking number of homes scheduled to be open. All 262 Howard Hanna offices in Pennsylvania, Ohio, New York, Virginia, Michigan, West Virginia, North Carolina and Maryland are participating. The Howard Hanna 2018 Open House Event will give buyers the opportunity to visit more homes than in a typical weekend. 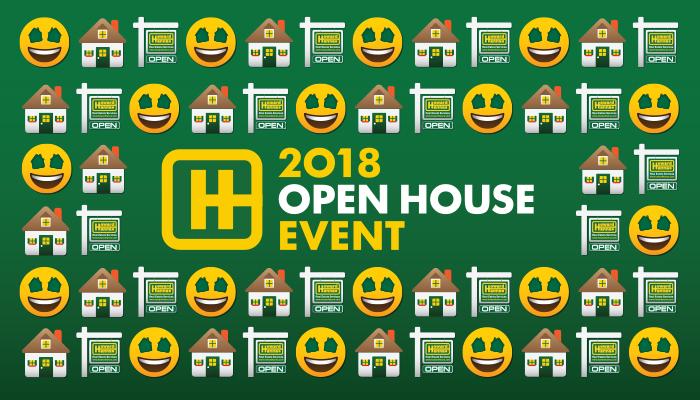 On-site at each open house will be Howard Hanna professionals, giving potential buyers the opportunity to ask questions about the buying process and learn about the home in a casual, fun setting without feeling rushed. Howard Hanna listings will be prominently showcased during the Open House Event with additional exposure to potential buyers. The homes featured will be presented at their best and presented to the highest number of people in a short amount of time. Over 3,750 visitors attended the Howard Hanna 2017 Open House Event. This year’s event is poised to have an even larger attendance. To learn more, please visit: www.HowardHanna.com/bigevent.